Displays a product disclaimer when a user attempts to add a product to the cart. If the user accepts, the product gets added to the cart. If the user declines, the product is not added to cart. Protect your business by informing your customers about any cautionary use. 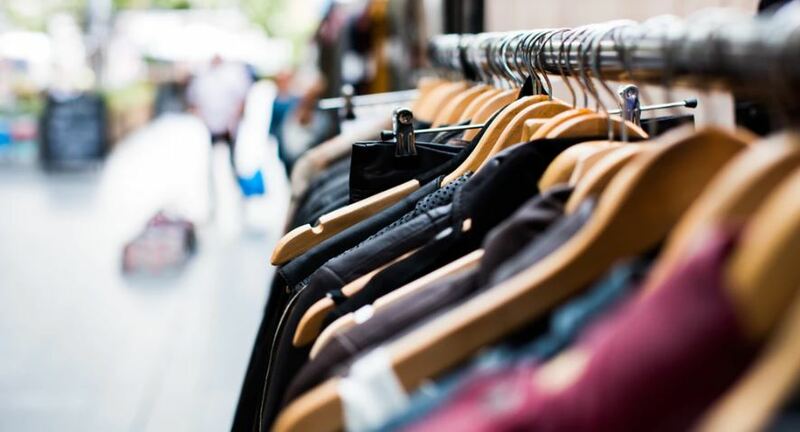 We can set up a functionality that prevents buyers from finalizing a product purchase unless they agree to reading and agreeing to certain terms and regulations pertaining to that product. Decrease your risk of liability with a product disclaimer. This feature will show shoppers a disclaimer warning them about potential risks of using a product just before they add the item to their cart. 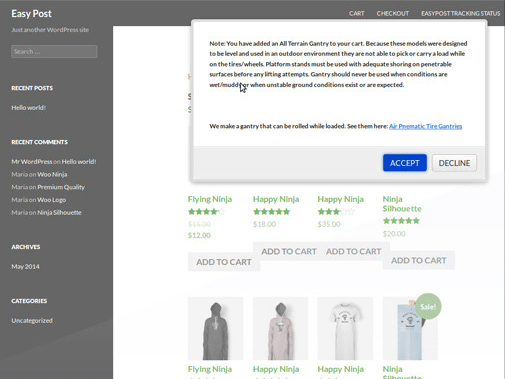 If they accept the disclaimer, regulations and terms related to the product will be added to the cart, but if they decline, the product will not be added to their cart. Product disclaimers are for ecommerce stores that sell products that come with a certain risk. This can include nutritional supplements, outdoor adventure gear, and any product that could benefit from a disclaimer. Add disclaimers to your ecommerce store with this feature. Show shoppers the disclaimer just as they add a new product to their cart. This disclaimer is fully customizable for any regulations, restrictions or terms you need to add to your products. This helps protect your business from liabilities related to the product. It also helps the customer by telling them important information about the product prior to their purchase. Help protect your business from liabilities related to the products with this disclaimer feature. This can reduce the risk of lawsuits and even bad reviews and customer complaints. It’s a way to be transparent with your customers and educate them about the risks of using the products. Your customers will be making better buying decisions when they read the disclaimer you add to your store. This level of transparency builds the type of trust that can create repeat customers, thus resulting in more sales in the long term. You can protect yourself from liability and warn customers about potential risks when you use this feature. 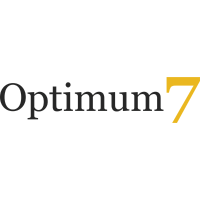 Add product disclaimers to your ecommerce store today by calling Optimum7 at 866-848-6072 or contact us for more information.